Life is unpredictable and, at times, a real strain both mentally and physically. 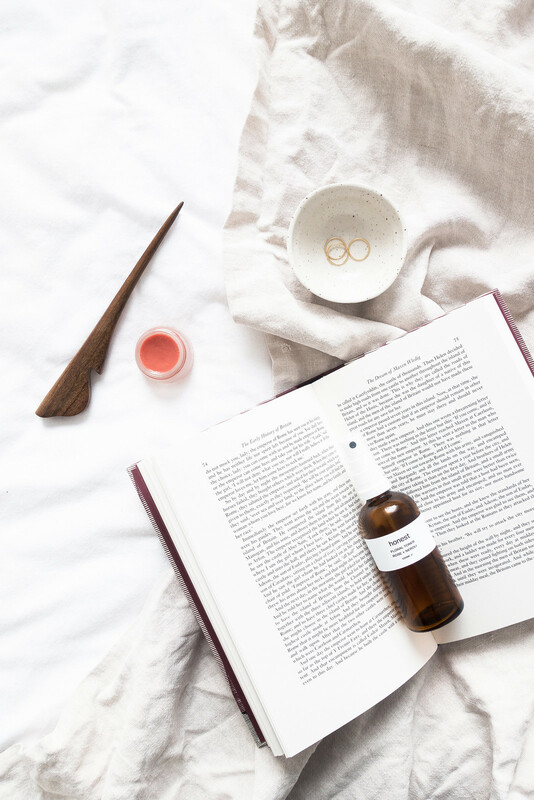 When your life is challenging, full of worry and stress, having a safe space to retreat into where you can rejuvenate and relax is crucial for grounding yourself, helping you to cope with the changes and emotions swirling all around you. Being mindful at home is about paying attention to our environment and, for me, it's about having a calm, welcoming, and familiar space to relax in. I can never concentrate or relax when my apartment feels untidy so maintaining spaces within my home that are always inviting, like a bedroom that feels like a sanctuary, where I can fully relax is important. Through being mindful of my environment, it enables me cope with any stress I'm feeling and work through my emotions. Mindfulness can be used to focus oneself on the present moment and accept any feelings, thoughts, and sensations one is experiencing. Mindful habits can help create a reliable, welcoming home that grounds you, enabling you to feel strong and focused enough to get things back under control when you're feeling overwhelmed. 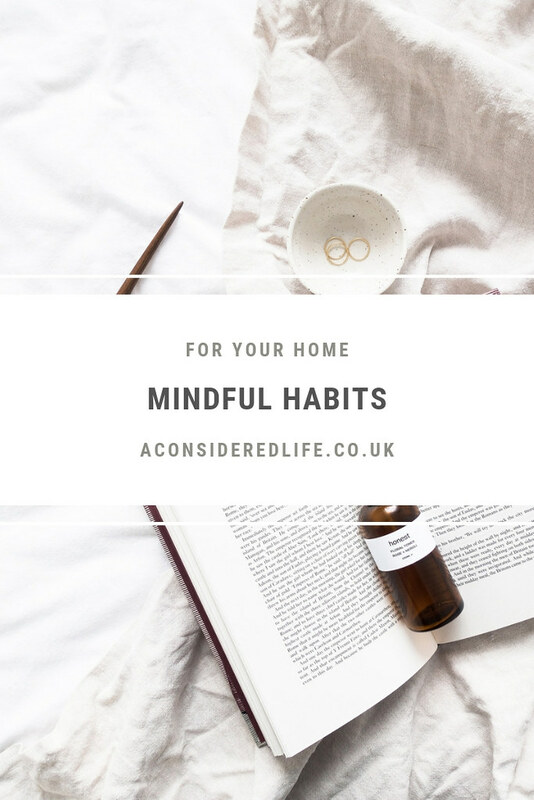 These mindful habits for your home cultivate an awareness for your environment and how it affects you, guiding you towards inner peace and contentment helping you to deal with everything life throws at you. Environment is everything when it comes to fostering a sense of comfort and peacefulness. If you're feeling unsettled, pay attention to the environment of your home. Can you relax as soon as you step inside the door? Does your home feel welcoming to you? If you feel overwhelmed by your environment, look for what can be changed to make your space feel calm and welcoming. Your home should be a safe refuge you always feel happy to be in. Consider how the artwork on your walls, the noise that permeates your space, and the decor you have is affecting your mood. Reduce both visual and audible distractions by simplifying your environment, updating the decor, turning down the noise, and removing visible clutter. Let go of things you no longer want or need and start paying close attention to everything you bring into your life to create a home that makes you happy. Creating a space that's pleasing to be in fosters a content state of mind helping us to feel truly relaxed. Having a place for everything and keeping everything in its place is a surefire way of maintaining a clutter-free tidy home with ease. Every single item you own should belong somewhere and be returned to it daily. It helps reduce the visible distractions that impede our ability to relax and maintain a calm mind. When organising your home, keep like-items together and give every object in your home a place to "live". It'll make finding things a breeze especially if you get into a habit of returning those items to their rightful place after you're finished with them. A quick tidy every day to return everything back to its rightful place makes a huge difference to your environment. You'll find your home stays tidy for longer creating a space that's distraction-free and more enjoyable to be in. A healthy diet is one that nourishes both the body and the mind. Fostering a healthy relationship with food in terms of what we eat but also how we feel about the food we're eating, is crucial to our health and wellbeing. Mindful eating is about simplifying our eating habits and adopting practices that enrich our lives benefiting both our bodies and our minds; reducing our impact on the planet by making more sustainable choices. It helps us to reconnect with the experience of eating and our enjoyment of food. 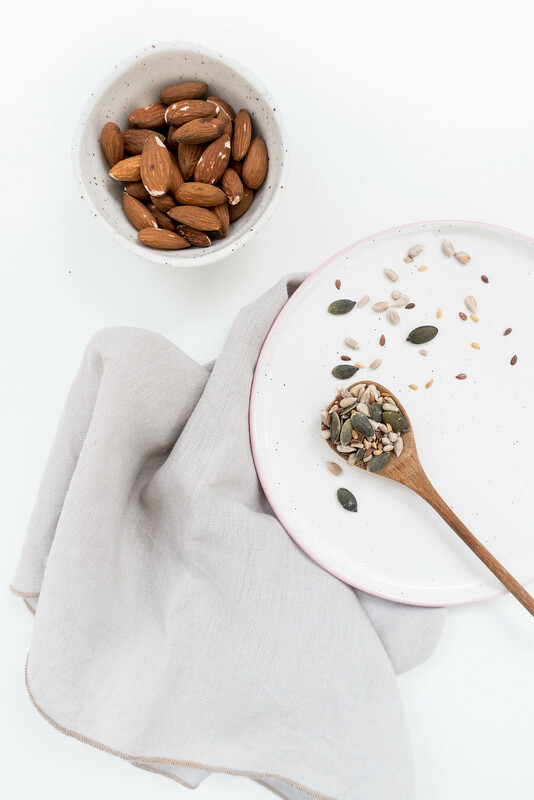 Mindful eating takes a considered approach to what foods we eat, where that food comes from, how it was sourced, the impact it has on the planet and other living beings, but also how it tastes and makes us feel. Adopting the practice of mindful eating can enable you to forge a better relationship with food, deal with painful thoughts and feelings surrounding food culture, and improve both your mind and your body. Systems are ways of doing certain tasks that make your life easier. You can adopt these habits to improve your efficiency or productivity making tasks quicker to complete. The key to creating systems is finding a method that works for you. There is a lot of advice on how to declutter and organise your home so it stays that way but these systems will only work if they suit your lifestyle. If a popular method doesn't work for you, try something new. Focus on pain points in your daily life and consider how a new routine might make those tasks or chores easier for you to accomplish. Trying to force yourself to adopt a habit or system that doesn't suit your lifestyle will only result in frustration. Systems are there to help support us and make our lives easier, not more complicated. By adopting new systems you can remove the frustrating pain points in your life and find better solutions through new ways of doing things. Stop trying to do everything. If you feel stressed by how far stretched you are, prioritise what matters the most to you. If you're struggling to go to work, keep a tidy home, pursue your ambitions, and make time for self-care, it's time to let something go. If it feels like you never have time for the things you feel are most important or care passionately about, consider whether you're making time for them. Are you stretching yourself too thin for things that aren't as important? Do you have to put extra time into work? Does it really matter if your home isn't always immaculate? Wouldn't you rather be spending time with your friends and family? Investing time in a new hobby? Enjoying a soak in the tub or reading a new book? Consider what's most important to you and if you're making enough time in your life to invest in them. Stop trying to do everything and instead prioritse what's most important to you in the long term.